It was around 9 pm Sunday night when I received a frantic text message on my iPhone. The S.O.S. was from Carlos, a young journalist from Manila visiting Hong Kong for the weekend. We had met the first time at a media event just the day before. My instinct told me it was probably a scam – earlier this year my brother got a phone call from a mysterious man saying that a distant relative of ours had been hit by a motorcycle and needed money for surgery. My brother hung up before the man finished talking. I was about to delete the text message when another one buzzed in. I decided to put my foot down. Carlos made it back to Manila that same night. The next morning he sent me an e-mail to explain what had happened at the airport and how he had managed to get home eventually. After contacting four or five people in Hong Kong, only his cousin who works here had believed him and was willing to lend him money. Everybody else had declined to help — I was one of them. “We aren’t a very trusting people,” I apologized to Carlos in my reply. Living in a big city, it seems, has turned us into Bad Samaritans. When it comes to dispensing kindness to strangers, Hong Kongers can be a bit schizophrenic. We rank 10th out of 135 countries on the World Giving Index, donating generously to anyone in need, from earthquake victims in Sichuan to starving children in far-flung corners of the world. Yet, for simple things like holding the door for a mother with a baby-stroller or pressing the “open door” button in a lift, we can be downright stone-hearted. Every now and then, I hear scathing accounts of urban apathy from friends and co-workers. A lawyer in my department recently complained to me that she had once slipped and fell in a crowded shopping mall but no one had gone to her aid. I have witnessed an elderly deliveryman tripping over an uneven sidewalk in front of a half-dozen men smoking outside an office building, none of whom had chosen to act. But each time I am about to give up on humanity, a heart-warming Good Samaritan story will reel me back in. A few weeks ago, my hairdresser Herbert fell down a flight of stairs after a night of drinking at Knutsford Terrace. The fall left him with a blood clot in his brain and put him in the ICU for a week. “If it weren’t for this passer-by who stopped and called an ambulance,” said Herbert, “I wouldn’t be cutting your hair right now.” Anecdotal evidence like that tells me that bystander behavior is more complex than I think, and that there is much more at play than the easy conclusion that we have all become creatures of indifference. In a chilly spring morning in 1964, 29-year-old Kitty Genovese was stabbed and killed in front of her New York City home while 37 neighbors watched but did not intervene. The Genovese murder shocked America and inspired social psychologists John Darley and Bibb Latané to begin their seminal research on bystander apathy. The team designed a series of experiments to analyze helping behavior and postulated that a bystander goes through a five-step process before intervention: he first notices the event, identifies it as an emergency, takes responsibility for helping, formulates a response and finally takes action. Darley and Latané found that the presence of other people can disrupt the bystander’s decision process at the third stage (taking responsibility) and turn a Good Samaritan into a passive onlooker. They argued that the psychological cost of doing nothing is significantly reduced by the assumption that somebody else will help and by the sharing of guilt among the group. It is this “diffusion of responsibility” – rather than a lack of compassion – that led to the neighbors’ inaction during Genovese’s attack. Diffusion of responsibility also explained why I declined Carlos’ call for help. I had assumed, consciously or subconsciously, that he must have friends and relatives who are in a better position to bail him out than someone he has just met. 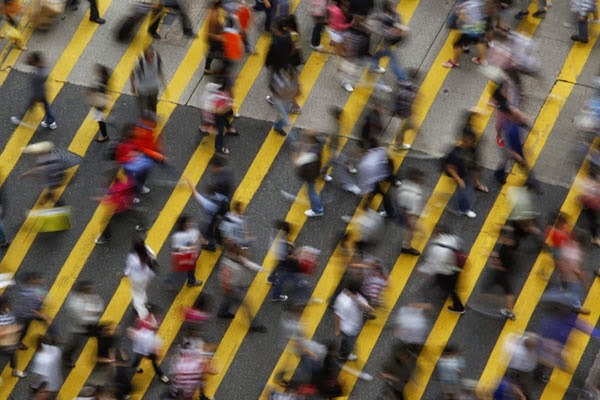 Half a century after the Genovese murder, the debate over bystander apathy has reignited once again, this time in the Wild Wild East of Modern China. 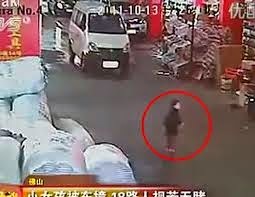 On 13 October 2011, a two-year-old girl named Wang Yue (小悦悦) was playing on the street when she was run over by two separate delivery trucks. A surveillance camera showed that 18 passersby ignored the victim; some even skirted around the blood. Wang died at the hospital a week later. Within days, the video went viral on social media and sparked a nationwide discussion on the erosion of social conscience. Wang’s tragic death is a wake-up call for China not only because of the shocking callousness of the passers-by (a textbook case of diffusion of responsibility), but also because it reveals a far more troubling factor that affects bystander behavior: fraud. I’m not talking about phone scams — like the one my brother encountered — or identity thefts —what I feared when I was asked to give out my credit card number. I'm talking about victim’s extortion, a burgeoning social phenomenon in China. It all started in the morning of 20 November 2006, when Peng Yu (彭宇), a college student in Nanjing, aided an elderly woman who had fallen off the bus. Instead of showing gratitude, the woman accused Peng of pushing her and filed a lawsuit demanding RMB45,000 (US$7,000) in medical expenses. Siding with the “victim,” the judge wrote: “According to common sense, the defendant wouldn't have helped the plaintiff if he weren’t in some way responsible.” Since then, several judges in other provinces followed the same line of reasoning in similar rescuer-turned-culprit lawsuits. In one case, a storekeeper accused of knocking down a customer whom he had helped was exonerated by a closed-circuit television. The footage showed that the storekeeper was nowhere near the victim when she fell. China is no stranger (pun intended) to the persecution of do-gooders. Social advocates like Ai Weiwei (艾未未) and Zhao Lianhai (趙連海) are routinely harassed, beaten and jailed for speaking out against injustice and government corruption. That, combined with the presumption of guilt in Peng Yu-type lawsuits, has taught ordinary citizens to mind their own business — as did the 18 bystanders who left Wang Yue for dead on the street. An opinion poll in Beijing found that 87% of respondents said they would not aid old people who have fallen for fear of being sued. 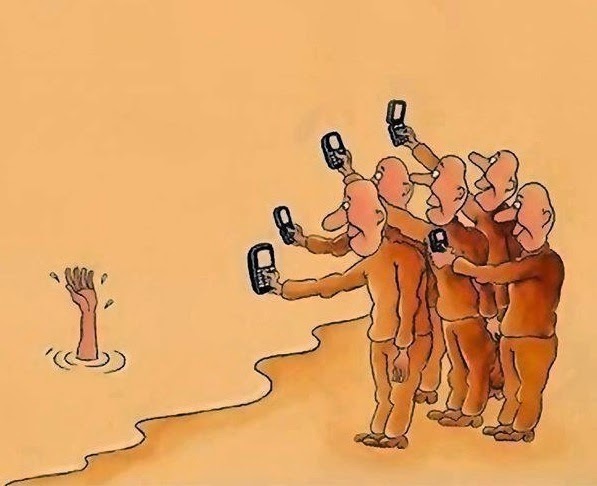 These days, bystanders have learned to self-protect by taking pictures on their smart phones before lifting someone up or performing CPR. Likewise, the only way for some senior citizens to get help is to declare aloud “I fell by myself. I won't sue you!” This is a country with some serious soul-searching to do. Facing a mounting public outcry, Shenzhen passed China’s first Good Samaritan law in August 2013. The new law punishes false accusers and absolves from liability anyone who renders assistance to those in need. In November 2013, the Beijing government launched a pilot accident insurance programme for the city’s three million senior citizens in an attempt to discourage injured elders from turning Good Samaritans into ATM machines. The hope is that the combination of carrots and sticks will go some way to mend a social fabric ripped apart by corruption, income disparity and old age poverty. Despite legal measures in test cities like Shenzhen and Beijing, victim’s extortion has shown no signs of letting up. 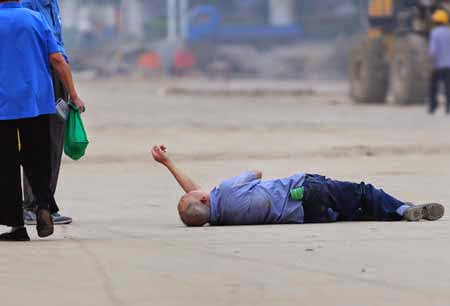 Just this past January, a garbage collector in Guangdong committed suicide after an elderly man he had rescued blamed him for the injury and demanded hundreds of thousands in compensation. It is a reminder that change doesn’t happen overnight, especially for a nation of 1.4 billion people. 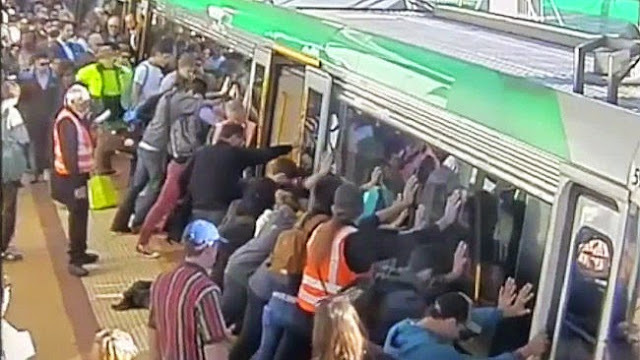 It will be some time before citizens will feel at ease again to be Good Samaritans, like the dozens of commuters in Perth, Australia who performed an urban miracle last week by tilting a subway train to save a man trapped in the platform gap. Until then, people may want to wear a GoPro camera whenever they go out. 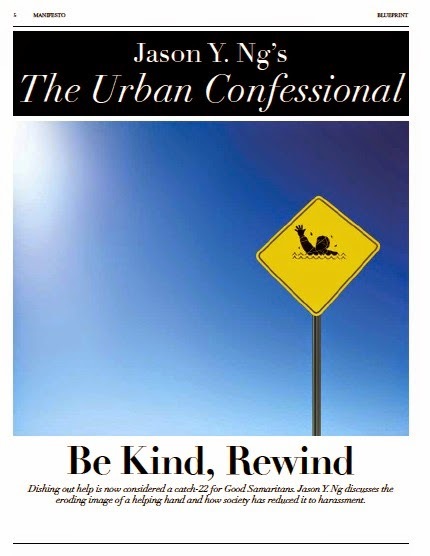 This article was published in the September 2014 issue of MANIFESTO magazine under Jason Y. Ng's column "The Urban Confessional."